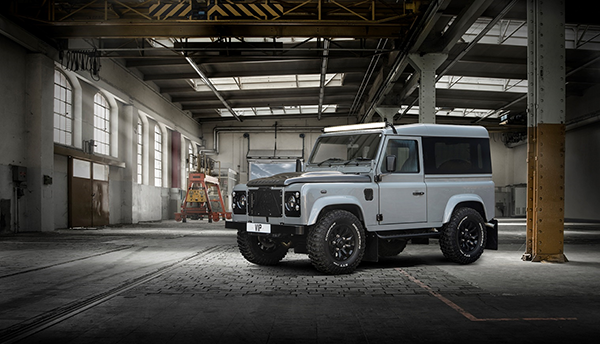 Looking for a trusted Company to help you with your Defender Restoration Project? Try VIEZU TECHNOLOGIES LTD.
VIEZU’s Process for achieving your end goal is easy to engage with; the Tech. Team are essentially Defender nerds and have a wide range of restoration and custom projects under their belt. 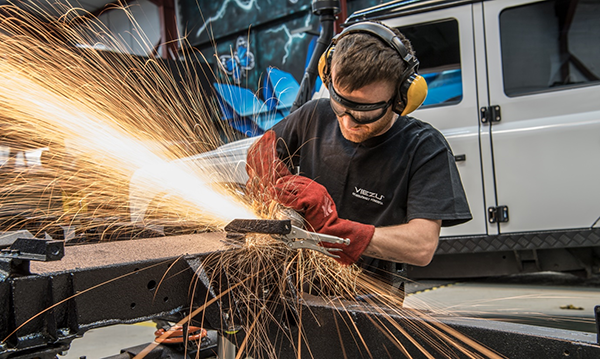 VIEZU’s Defender Restoration Team consists of Jaguar Land Rover Technicians, Specialist Land Rover Defender Body Fabricators (they can tell you a thing or two about rust proofing!) Custom Land Rover Defender Upholsterers, Land Rover Defender Interior Restorers, Land Rover Defender Electricians as well as a very Tech. savvy Team of Geeks eager to bring your Land Rover Defender bang up to date with the latest in car infotainment, GPS trackers with anti-theft devices, reverse cameras, parking sensors and so much more. VIEZU's Defender Restoration Team is very experienced and highly acclaimed – as a Client you get to fire out all your requirements and the Team quickly grab all your must have restoration requirements and pull them together into a project plan with costings for you. To see more of this restoration please click the picture above to see the build project video. VIEZU’s Defender Restoration Team you can work out where you want to splash out and where you want to spend a bit more and get that high-end finish as part of your Project's overall finished value. 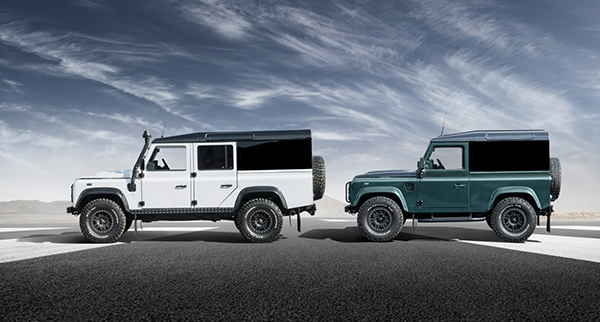 Land Rover Defender values are significantly increased with the application of the vehicles heritage pack and not to mention the shipping guidance offered by the Team for International Clients. VIEZU’s Defender Restoration Team offer full Land Rover Defender Heritage Restoration. Each model is treated to an accurate and sympathetic restoration and upgrade/replacement items are carefully integrated. Not only maintaining, but growing the value of your Land Rover Defender Restoration Project. 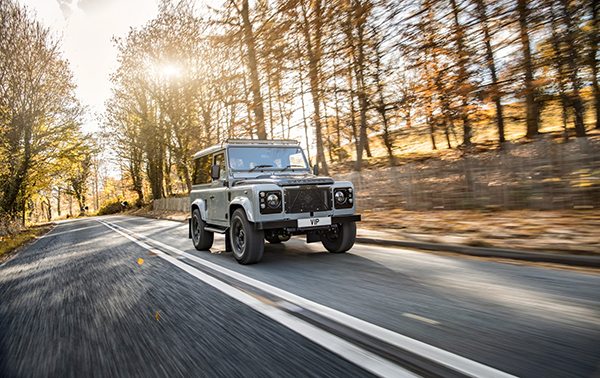 Each vehicle and owner is of course unique, so VIEZU treat each project in the same way, it often starts with a vision, a dream, or plan of how the owner would like their Land Rover Defender to look, this is then developed and transformed into a bespoke project plan – everything is open to discussion, we like a challenge! Due to the custom and bespoke nature of Viezu’s Land Rover Defender Restoration Programme the owner can have their cake and eat it; paint work colour, interior trim, seats, wheels, suspension, engine, brakes, transmission, body work can all be custom specified and built – your Defender, the way YOU want it – not the one on someone else’s option list! As a Client you are assigned a dedicated Project Manager who will send you weekly updates and images of the works to date. As you near the completion date, you are given the opportunity to carry out a test drive and “shack-down” to grab anything for the snagging list. It’s a very immersive and interactive experience, you literally become part of the Team and can be as involved as you like. Full nut and bolt restoration is a critical factor for perfect body alignment. If your vehicle condition dictates a deeper level of work – this is the most value growing way to go, VIEZU can undertake a full “nut and bolt” restoration, full strip down, with chassis removal, repaired and/or replaced. Each vehicle component is assessed, cleaned and refurbished or replaced prior to rebuild or refit. As a Client you are assigned a dedicated Project Manager who will spend you weekly updates and images of the works to date. For Custom Projects and required specification. All work is done in-house to specified times and agreed budgets. 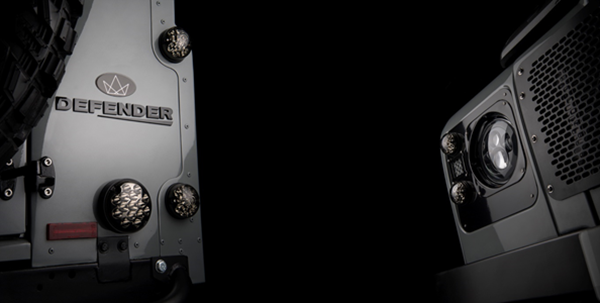 If your Defender is a little newer, or in good general condition, VIEZU offer a huge range of upgrades to bring your Land Rover Defender bang up-to-date and make it feel like a new vehicle, in fact better than new, the list of upgrades is as long as you can imagine, and priced so not to break the bank. Popular items include: clean and waxoyl of the chassis and underside, electric window fitting, soundproofing, upgraded seats and upholstery, fitting or changing seat layout or style, carpeting, suspension upgrades and lift kits, panoramic windows, LED light kits, grille kits, side steps, puma style dashboard, and bonnets etc. These upgrades are all available as separate items, or can be combined to deliver a more overall appealing facelift appearance. If you don’t already have a Land Rover Defender, or other vehicles you would like to own, upgrade or restore, VIEZU offer a sourcing service, both RHD and LHD Defenders can be sourced in a range of conditions, from fully finished and clean condition, to unrestored barn finds. VIEZU have experienced buyers on the team with an established networks across Europe, meaning we can source a range of LDH Defenders ready for restoration or shipping to the USA or elsewhere. Worldwide shipping of parts and services as well as complete vehicles arranged and managed on your behalf. If you have any questions at all, the team will be happy to offer a consultation around your requirements, for international customers we can arrange a Skype meeting and tour of the facilities. 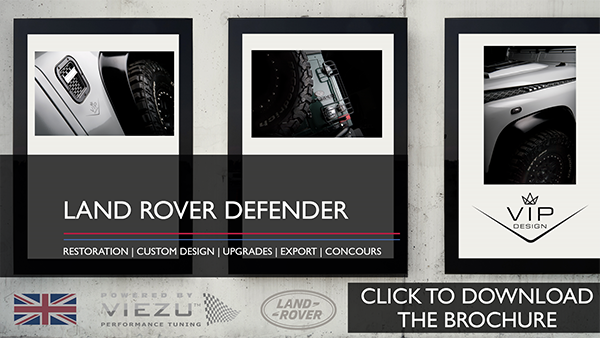 Book your free consultation now to learn more about the VIP Design Land Rover Defender restoration program.